The Mountaintop Facility in Yashima is required to fulfill the following :it should have a dignified appearance that is integrated with the mountaintop landscape ; it would represent Yashima's abundant history and the cultural values; and the top-level professional ability is required to design all programs for visitors most accordingly. 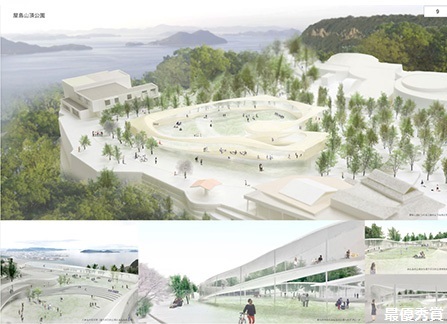 The building should represent, not only Takamatsu City or Bisan-Seto, but the greater Seto Inland Sea region , and simultaneously serve as the focal point of Setonaikai Inland Park for a long time. All eligible applicants, domestic and international, are invited to apply for this competition, to participate in the selection of the most eligible Design Architect to implement schematic design of this facility.